The Majority of Meccano models we make are reductions from the real size. 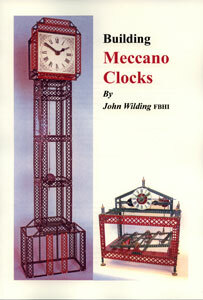 Meccano clocks are in fact full size and the time they tell is the real time. 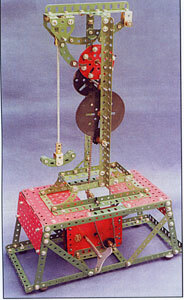 Many of the clock escapements can be constructed in Meccano, but the principal difficulty lies in the wheel train. If the standard gear ratios are to be used, the gear train will be very long and the driving weight very heavy and this with a standard Meccano spindle of 5/32" diameter will make for problems.